Snow City is the first indoor snow centre in Singapore. 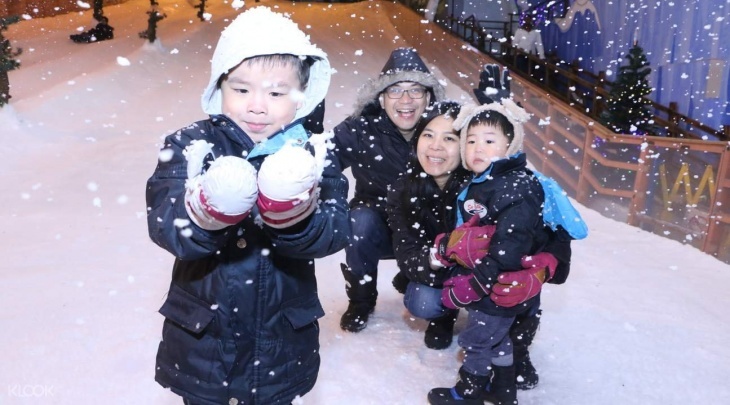 Here visitors can experience real snow and ice in an educational and fun way. Visitors are encouraged to slide down a three-storey snow slope and beat their way through 15 tonnels of snow where the fun never ends. Withal, kids and their parents are invited to climb the Singapore's first original wall called The Cliff including 10 lanes of various difficulty levels and allowing 20 climbers to enjoy it at the same time. Now visitors of the Snow City are transferred to a real winter wonderland without heading off to the snowy countries. The voucher is valid for 1 month from the selected date. Have a PAWsperous New Year ahead with Ila, the Snow Husky!